SorBabes Shakes: Shake it up! SorBabes Style. 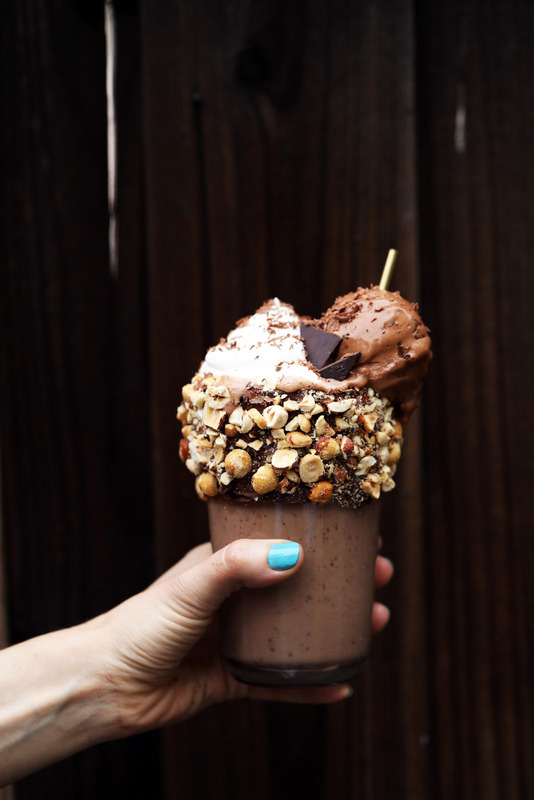 Our whole vibe is about shakin’ things up in the world of frozen treats, so obviously we’re all about a great milkshake, that’s a little unexpected. We’ve got something bright and fruity, and something rich and chocolatey to hit all your cravings. Pour into the decorated glass, and garnish with your favorite tropical fruits and a dollop of whip cream. Enjoy right away in the sunshine. Paint the top two inches of the glass with about 3 TBS of Chocolate frosting and roll it in crushed, toasted hazelnuts to coat. Pour into the decorated glass, and garnish with whip cream and some grated dark chocolate on top. Enjoy right away!